Goodwill Wealth is a key player in the stock market with hundreds of Goodwill Wealth Sub Broker working under them across India. Goodwill Wealth Management company has earned a name for itself in the last 10 years of its operation. The article will elaborate on the details about the company and Goodwill Wealth Sub Brokers, including their revenue sharing options, brokerage plans,and their infrastructural or eligibility criteria. Apart from this, the article will also cover the other business model of the company and the brokerage and other charges applicable. The company within only 10 years of its working has earned quite a good amount of Goodwill to justify its name. The customers are satisfied with the services provided by the company and the sub-brokers and other partners of the company as predictable by a 2.4 rating out of 5. The partners are also satisfied with the revenue sharing model as dictated by the 2.5 rating. The offers provided by the company are also well accepted in the market and the support provided by the company towards the sub-brokers and the customers are also well rated. Goodwill Wealth Management is a share broking agency which is a private concern established in the year 2008. The company was formed by GandhimathiBhaskaran and for last 10 years, it is running as a full-service broker with an array of agents and sub-brokers working under it. The Chennai based company with branches all over the country have 30 days as the sub-broker code activation time. The payout time for the sub-brokers is also around 31 days. Sub-brokership business model:It is a business model where the company offers or allow various sub-broking companies to sell its products and services to their own clientele. The revenue generated by the sub-brokers is divided into a certain ratio amongst the company and the sub-brokers. Here the company provides support to the sub-broker and the sub-broker need to keep a certain amount of security deposit to start the business. Remisier Business Model: The Remisier can also be called as an agent. The work of the agent is to get leads from the market and let the company know about it. If revenue is generated from the lead then the company would provide the agent a part of the revenue as a commission. This is not sub-brokership as individual person work as agents and do not sell the products and the services directly to the clients, they just get the leads. The investment is also lower compared to sub-brokership business model and also the amount of profit or commission. The Goodwill Wealth Management Revenue Sharing Models is dependent on the amount of security deposit kept by the sub-brokers. There is a minimum and a maximum amount of revenue one sub-broker can earn as per the amount of security deposit he or she has kept with the company. The minimum amount of revenue that sub-brokers can earn is 50% of the total revenue made from the sale. The maximum amount can go up to 70% of the same. As mentioned above the Remisier or the agents make less commission, they earn flat 20% on any lead that has been transformed into sales. Their commission is not dependent on their security deposit. The security deposit of the Goodwill Wealth Sub Broker is within the range of Rs. 50000 and Rs. 100000. So, the sub-broker who keeps Rs. 50000 as security deposit can earn 50% of the revenue while the sub-broker with Rs. 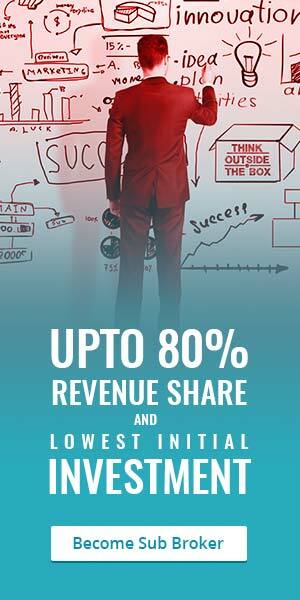 1 lakh as deposit earns 70% of the revenue. For the Remisier, they can start the business with only Rs. 1000. One who has a minimum of 125 square feet office area. The office must have one full time working employee. The partner must have proper research services so that they can help the clients to find the best products to invest their money into. The internet connection is mandatory for the office. They offer flexible revenue sharing to the sub-brokers. The investment or the security deposit is very low compared to the peers. The earning potential is high and there are various services and products to attract the customers. The Remisier can start their business with only Rs. 1000. The support is thoroughly provided by the company including research reports, training about the products etc. There is also provision for Zero deposit which is beneficial for the one with less amount of capital or who are new into the business. The company provides almost all kind of support and training to its sub-brokers and the Remisier. Starting with marketing support to Trading support, back office support all is provided by the company to the partners. The company executives also help sub-brokers with advisory support. The company provides thorough product training to the sub-brokers and also they are trained for dealing with the prospective clients. All these support and training helps the partner organization to grow their business and also the company business. For the equity delivery at 0.1% to 0.2%. For the equity intraday, futures (equity and currency both) as well as for commodity at 0.01% to 0.02%. For the currency options, the brokerage is Rs. 7 to Rs. 10 per lot. For the equity options, it is Rs. 10 to Rs. 20 each lot. The account opening charges of Goodwill Wealth Management is Nil. The company charges no amount to open an account with it. The charges are applicable on Demat annual maintenance which is Rs. 333 and for the trading account maintenance it is Rs. 230 per annum. The company does not ask for any margin money which is very helpful for the new investors especially. The transaction charges are charges at 0.00333%. The Goodwill Wealth Management Company is beneficial for the customers as well for the partners of the company. The extremely low brokerage plans attract many investors. The flexible revenue sharing model helps sub-brokers. The company charges no margin money which is another benefit for the investors. They maintain a great support system for the sub-brokers and Remisier.